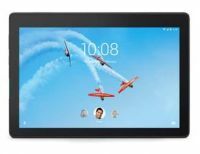 Lenovo TB-X104 Slate Black 10.1" IPS HD 1280x800 Multi-Touch Qualcomm APQ8009 QC 1.3GHz ANDROID GO 1GB 16GB NO WWAN Non-Voice Copyright © 2019 ComXpert International CC - COPYING IS ONLY ALLOWED FOR THE PURPOSE OF SENDING US ENQUIRIES. E&OE. The best price and guaranteed service and backup from official computer suppliers in South Africa for the ZA470008ZA Lenovo TB-X104 Slate Black 10.1" Qualcomm APQ8009 QC 1.3GHz 16GB Android 8.1 Tablet PC. The Lenovo ZA470008ZA Lenovo TB-X104 Slate Black 10.1" Qualcomm APQ8009 QC 1.3GHz 16GB Android 8.1 Tablet PC is available for R2305. The product is sold by ComX Computers as new. Prices are valid today 2019-04-22 (before 2019-04-23 , by quote, while stocks last). The product is expected to be in stock, although this is not guaranteed. Find related ZA470008ZA Lenovo TB-X104 Slate Black 10.1" Qualcomm APQ8009 QC 1.3GHz 16GB Android 8.1 Tablet PC products in our Android tablets Category for even more options. Read reviews and find out about ZA470008ZA Lenovo TB-X104 Slate Black 10.1" Qualcomm APQ8009 QC 1.3GHz 16GB Android 8.1 Tablet PC. Discounts, specials and cheap prices only at ComX Computers.